The latest take on how to improve the experience for ‘generation rent’ in sprawling cities like London, Lyvly is at its most basic a two-sided marketplace that helps renters find high quality shared living accommodation and landlords find good tenants. However, it goes far beyond simply matching supply and demand for house shares. Not only are properties fully managed — including providing tenant services such as managing household bills, replacing consumables and cleaning — but at the heart of it all is the Lyvly community platform, which treats Lyvly renters as members within a network of “like-minded individuals who share a passion for shared living”. And, as wishy-washy as that sounds, there is no doubt that city living is often devoid of community, and in London especially it can be difficult to meet new people. “Renting is often not a pleasant experience, and living in cities can be lonely and stressful,” says co-founder and CEO Philip Laney. 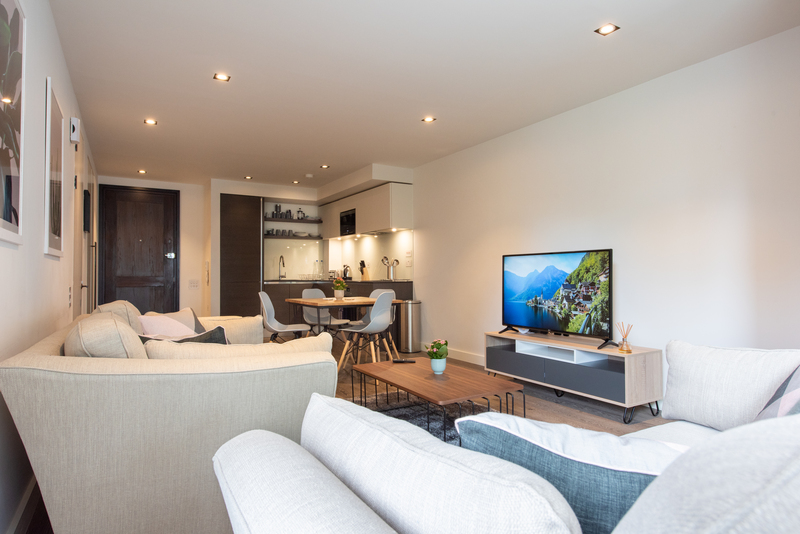 “Moving into your new apartment, sorting out furniture and utilities, and then trying to connect with busy people around you all whilst working long hours in a transient economy are frustrations many of us have experienced. We are confronting three problems for renters in the city: their desire for community, convenience and affordability”. Laney says the current way people rent shared accommodation is also painful for landlords, who don’t have consistency and control over the quality of their tenants, and often pay high fees to a middle person and struggle with vacancy rates. “We provide them guaranteed income with no voids and no fees, and a genuinely positive social impact,” he says. For renters, Lyvly operates a little like a members club. Once you’ve applied to join the community, you have a call with a member of the Lyvly team to learn more about your “life stage and values”. “We are people, not property first. So we establish what you’re seeking from your Lyvly move and whether you are keen to actively participate in the Lyvly community and share your life, not just spaces,” says Laney. Next, you are given profiles of the members (and prospective housemates) you will be meeting with, and they are sent your profile and an overview as to why you are well matched. You then meet each other, and if you like each other, you can apply online to the membership committee, which is made up of the most active Lyvly members and the team. This includes submitting your bio and stating why you want to be part of Lyvly, and what you would bring to the community. Adds Laney: “Once you’re in, we then guide you through the whole moving process, taking care of everything and removing any usual stresses that come from moving to a new place in London. You are introduced to other members in the area who have similar interests and values and other members reach out to you directly to invite you to other activities they’re hosting. We also regularly host events and actively support members to engage with each other and give value to the community”. Lyvly’s target tenants are 25-35 year olds who are looking for single occupancy. Laney says that’s because they are at similar life stages to each other and this is where the startup can make a meaningful difference. “We really care about being something to someone, rather than everything to no one. In time however, we will be able to expand Lyvly into different community groups,” he says. Landlords using the platform range from individuals who are first time owners to some of London’s biggest property companies. Asked who Lyvly competes with, he cites the grey and black economy of shared housing and “dodgy landlords”. Technically the company is also competing with estate agents, although it is open to working with them to help find better tenants for their landlords. Along with Laney, the startup’s other co-founders are Dario Favoino and Siraj Khaliq. Both Laney Favoino have a 10 year background in real estate investment and property management at Deutsche Bank and Realstar. And in case you aren’t keeping up, Khaliq is a Partner at London VC firm Atomico and was previously CTO and co-founder of Silicon Valley startup Climate Corporation, which exited in 2013 for over $1.1 billion. Next articleOpen Call for Applications on the Unity, Unreal Engine, and Android Teams!